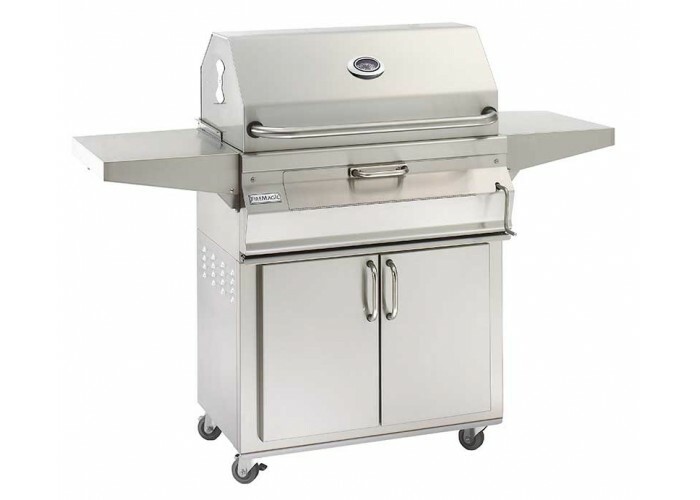 The Fire Magic Legacy charcoal portable grill with smoker hood features all stainless steel construction, easy lift hand crank to adjust charcoal pan height and front loading access door. For slow smoking of meats, poultry or fish, the Fire Magic smoker hood offers versatility and flexibility. The smoker hood includes a warming rack, adjustable air shutters for controlling temperature and smoke and hood mounted analog thermometer.